Yeet. 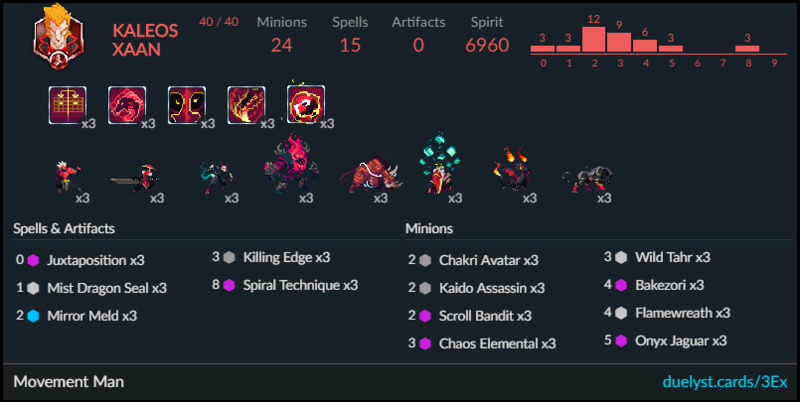 My IGN is TickleMyPelvis, I've played Duelyst for 33 seasons so far and I get my enjoyment from creating and piloting my own decks to diamond. Mid game strategy varies greatly depending on your opponent, just squeeze value out of minions whilst playing around the common punishes from your opponents faction. Late game you want to mulligan for spiral technique unless your opponent is already dead, in which case pat yourself on the back.